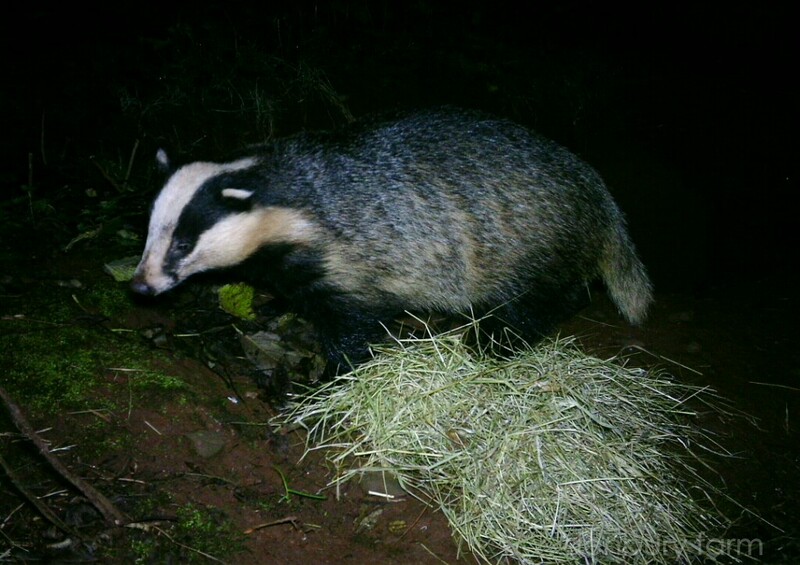 Some good news, By the way that the Badgers are acting and changing their sett bedding we reckon that there may be a pregnant sow in one of our setts. They had cubs last year in a satellite sett that was confirmed by Bobbie and Fox, who saw youngsters whilst protecting the sett during the cull. 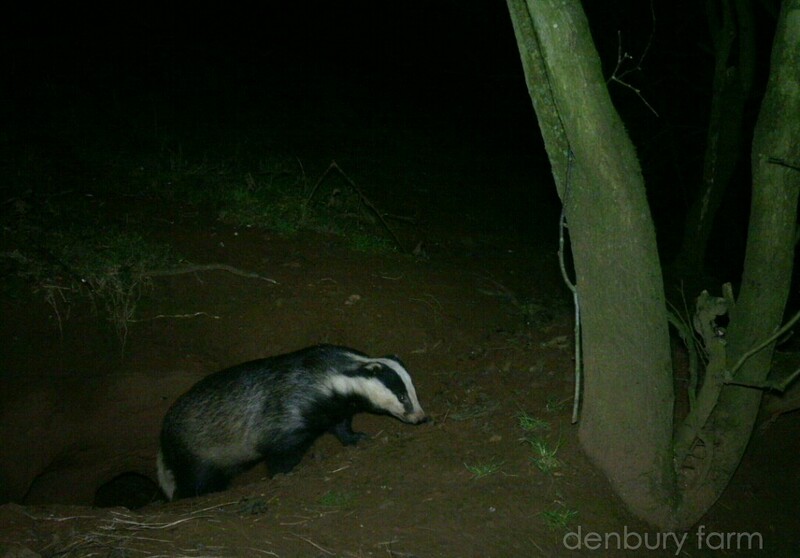 We started to get worried that the badgers had moved out from the main sett as very little food was being taken, but as you can see Mrs Farmers new cameras showed they were still there and increasing the size of the sett, big time. The photographs were taken with a new trail cam that takes nigh time colour photographs and video that she has been able to get some good photographs of the fox and deer who have been regularly using the feed area. 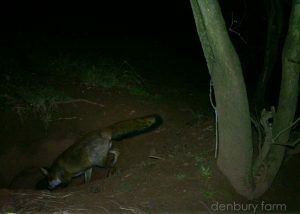 Some of the photos show the fox taking an interest in the badger sett. A few years ago both the badgers and fox used the sett to have their cubs. We got the horses in a couple of weeks ago. It would have been better if they could have stayed out longer but the ground was very wet and Sprite who is no spring chicken was not very happy. It didn’t take long to get her head collar on, she was so eager to get in she nearly put it on herself. We did stable them one to a stable but now we have fenced off a large part of the big barn so they can be together. It seemed kinder to allow them to be together, they are able to walk around and groom each other, even if it is through their rugs. They bicker a bit at feed time. Maybe not bicker, more like musical chairs going from one pile of feed to another with the bigger and stronger always winning, but not realising the one they pushed out is eating just as much from another pile. Our Christmas day on the farm is not very different to any other day. 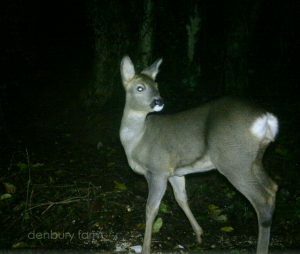 We sit down with family for dinner, open presents and relax with a drink or two after feeding and bedding the animals. Mrs Farmer being a real gadget person decided on her present. She will be able to show more of our life on the farm. You will soon see. All at Denbury Farm wish you all a very happy Christmas and a very prosperous new year.